The promise of engaging, interactive digital magazines was one of the principal reasons I invested in an iPad. Unfortunately, many iPad magazines thus far seriously over-valued themselves on price and under-delivered on quality. While not a complete game-changer, iPad Esquire Magazine from Hearst Communications has bucked the trend with a solid debut release. 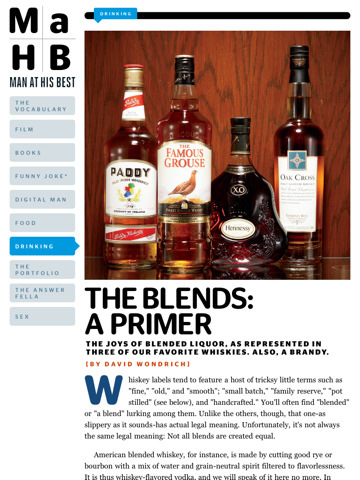 The first thing you notice about Esquire is the straightforward layout and design. The typography is bold and simple, the text easy to read, the images well-placed and well-sized. It immediately fulfills the most basic requirement of being readable and accessible. But a paper magazine also has these qualities – an iPad magazine has to be more than just a scanned-copy of its print equivalent. 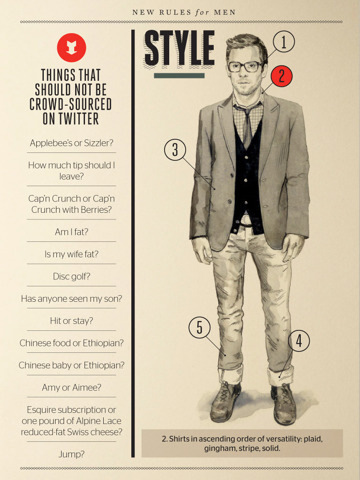 That said, Esquire on iPad still does a lot of things right. 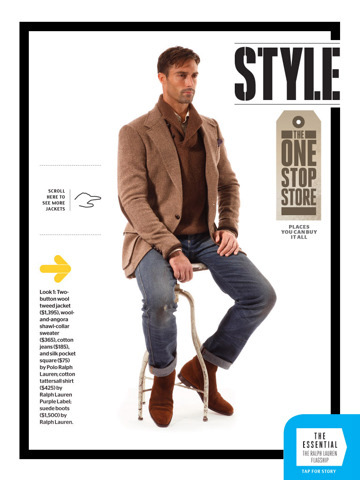 The magazine flows like a good digital magazine should, with the menu instantly accessible in just one tap. Page-integrated animations, tap-to-enlarge photos and a fashion model in 360 degrees make iPad Esquire more interactive than the print edition ever could be. Quizzes feature heavily in this edition of Esquire, and the first – a 24-question “predictive quiz” – immediately let me down. I assumed that I would be able to tap on each of my answers and my score would be worked out for me. When that didn’t happen I began to think that Esquire was yet another iPad magazine failing to take advantage of the technology at their disposal. Fortunately, a self-calculating quiz actually does makes an appearance toward the end of the magazine. And thankfully, it works just the way you would expect. You simply tap to highlight each of your answers, and then tap once more to submit your responses. The app automatically tallies up your selections and gives you your score – it’s a nice feature, but one that should apply to the whole app. This month’s Esquire for iPad also features an interactive “20 / 50 Survey of American Men” that contrasts the attitudes, beliefs and lifestyles of 20 year old men with men 30 years their senior. Tapping on your chosen answer to any of the 53 survey questions brings up a graph on screen with a breakdown of responses for the two age groups. It’s an innovative feature that requires you to give your opinion before being able to find out about everyone elses. 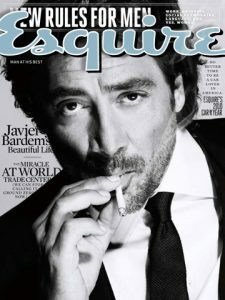 At $4.99, the app is the same price as the print edition and if you’re an Esquire fan then the quality and breadth of the content on offer here is not going to disappoint. Bottom Line: While not as visually impressive or technically innovative as Wired Magazine, Esquire has succeeded in delivering a high-quality debut digital edition of their popular men’s monthly.